Unfortunately, many people in developed countries (particularly America) too often take things for granted. This is definitely the case with modern plumbing. 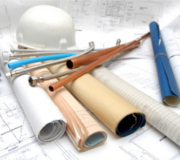 Not only does having the advances of modern plumbing simplify our lives in a way, but it also preserves our lives. So many diseases break out in third world countries due to a lack of modern public safety standards, and plumbing is a big part of that. Let's take a look at a few ways you can exercise your gratitude for modern plumbing and even help make a difference in third world public safety. Plumbers are the ones that make the magic happen, so you should definitely be appreciative towards them. By no means do you have to go out of your way to do something nice since you are already paying him, but what you can do is be the best customer you can be. That means being at your house when you say you're going to be there, have a pleasant personality, and just be easy to get along with. Ultimately he's just trying to do his job and help you out. The second way you can exercise your gratitude for modern plumbing is through the plumbing industry's holiday, "World Plumbing Day" (WPD). You can read all about world plumbing day here, but the gist of it is raising awareness for modern plumbing concerns. This can mean anything from social media presence to organizing group events, but if you feel inclined to get involved in the community and raise awareness for plumbing, WPD is the best way to do so. Last but not least, donating to charity is a huge way in which you can make a difference. From the small amount of research I have done, I have not been able to find a charity that specifically aids public health in third world countries (tweet us if you can find one). However, there are many centralized donation websites that allow charities to post donation opportunities on their page. One I found, Global Giving, is a donation website with an international focus that even offers a "health" section of charities. If you are interested in making some kind of monetary donation towards public health in underdeveloped countries, I would highly recommend looking into doing so as every dollar you put in goes a long way. As a homeowner, the toilet can be used as a great waste removal tool due to its extreme convenience. 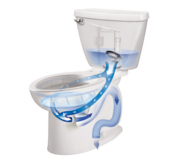 Once you flush something, it is gone forever and never has to be dealt with again. While there is some truth to that, users must keep in mind that the toilet and its piping are only designed to handle human waste and toilet paper. Anything other than that can cause a clog at an undetermined distance down the drain. Some clogs caused by alien objects can be fixed with just a plunger if you are fortunate enough, but most are going to require some kind of commercial drain cleaner. We definitely recommend keeping an auger around the house in case a situation like this comes up. Even if you don't feel like you would ever need an auger, it is a relatively cheap buy that can potentially save you loads of money if you can fix your drain clog before having to call a plumber. One misconception about what you can flush down your toilet is that some wipes advertised as "flushable" can be sent down your toilet no problem. Flushing these wipes should generally not cause any harm under normal circumstances, but there have already been four different lawsuits filed over the issue.What's worse is that some of the allegations in this case are coming from city's who have had to pay to have repairs done on their septic systems. It is one thing for a homeowner to have to call in a plumber to fix a drain clog, but damaging the city's septic system is another level of bad. The moral of the story is don't take the easy way out. If you find yourself having the urge to flush various things that aren't meant to be flushed, do yourself a favor and just throw it in the trash can. Even flushable sanitary wipes are better off being thrown away than being consistently flushed down your toilet. The only things that are truly designed to be flushed down the toilet are human waste and toilet paper. In the past 10-15 years, we have seen technology evolve at a phenomenal rate. With that, we have had the privilege of seeing futuristic design being added to both old and new homes, but one area of the household that has seemingly lacked in a technological advance is the bathroom. It makes sense seeing that fixtures within the room would be difficult to integrate new technology into, but as it turns out futuristic bathrooms could be a reality for everyday homeowners within the next few years. The reasoning behind that is that the technology already exists, but it is in its early stages of retail and is still extremely expensive for what you get. Let's take a look at some of the innovative bathroom technology that could potentially enhance our bathroom experience some years down the road. The "Mirror 2.0", as far as I can tell, is the earliest concept design for a smart mirror within the bathroom. This innovative mirror is designed to be the all in one entertainment machine for the bathroom, allowing users to use time in the bathroom to enjoy various activities such as e-books, movies, and music. The Mirror 2.0 was first revealed in 2013, but unfortunately that model mirror has not been brought to the market. However, more recently, a company called Tech2o has brought a "cyber mirror" to the European market. The low end cyber mirror models retail in the $4,000's, and higher performance models are a higher prices. Not only is the cyber mirror the first real smart mirror to enter the market, it actually runs the Windows 8 operating system. Windows 8, an operating system most optimized for mobile entertainment, allows users to upscale any kind of entertainment they enjoy on their mobile device to a beautiful display that is mounted on your wall in the bathroom. While smart mirrors are an unrealistic buy at this point in time, a few years down the road they may be an affordable solution for bathroom entertainment. One futuristic bathroom fixture that is already retailing in the U.S. is the hand drying faucet. Essentially, this fixture allows users to wash and dry their hands in one place rather than having multiple hand washing components placed around the restroom. Not only does this save hand washers time and energy, it also supposedly more energy efficient by combining what was previously two units into one. While this obviously makes a lot of sense for commercial bathrooms, Dyson is already offering a sleek unit that would look good in a residential bathroom. The biggest down side to this is the expensive price tag, coming in at just under $2,000. Bluetooth technology within the shower is already an affordable reality. 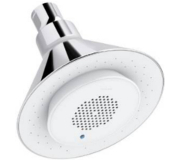 With a list price of $200, Kohler has come up with a shower head that features a wireless bluetooth speaker. Essentially, you can stream your favorite music and podcasts right from your mobile device to the shower head to enhance your cleansing experience. The wireless bluetooth speaker has a battery life up two 8 hours, and users have reported that the speaker has good sound quality. Happy 4th of July weekend! This holiday, although not quite as celebratory as some of the other major holidays during the year, is definitely a fun time to hang out with friends and family. The United States is one of the greatest countries in the world and I am definitely proud to be a citizen thereof. 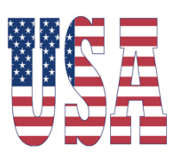 For this week's article, I'll be touching on a few different activities you can do this weekend to celebrate the 4th and exercise your American patriotism. Getting together with a group of friends is a great way to celebrate the 4th of July. Having a cookout is a great excuse to get together with your buddies to commemorate the great nation that we live in. Food, friends, and fun are all a part of a great cookout experience, and this kind of event can be a great way to both celebrate the holiday and relieve stress from work or school. Fireworks are the staple of 4th of July celebrations. Firework laws vary from state to state, but if you live in a state where you can purchase the good stuff I can't recommend it enough. For example, I live in North Carolina where fireworks are puny and unimpressive due to state laws. However, in my travels to South Carolina, I have witnessed real fireworks being shot off and I was blown away. Shooting off fireworks is a great tradition anywhere in the U.S., but I can't recommend it enough if your state allows the good stuff. The world cup final match has been set! On July 5th, the U.S. will take on Japan in the final match of the women's world cup. As luck would have it, this championship game is a rematch of the last championship game back in 2011. In that game, Japan defeated the U.S. in penalty kicks. This high tension rematch is taking place during 4th of July weekend, so don't miss the opportunity to watch the game and enjoy a highly patriotic experience. Recommended venues include a friend's house or a sports-based local restaurant.